Ha-Pee Lawns is a nutritionally balanced, healthy herbal tonic which contains natural healthy ingredients. 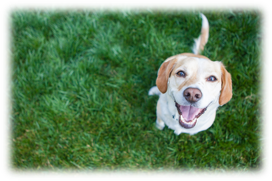 It is rich in vitamins and minerals benefitting both your lawn AND your dog! Designed to help to reduce the burn patches on your lawn caused by your dogs urine. Also has natural cleansing properties to help with detoxifying and maintaining a healthy urinary tract. Controlled tests have shown positive results for 8/10 dogs within 3 weeks. ​How do I administer it? 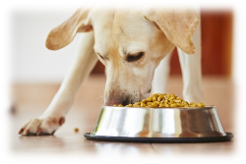 Ha-Pee Lawns Tonic is very easy to administer, Shake the bottle and just add a few spoonfuls as directed daily to either raw, wet or dry food. No fiddly tablets or messy powders! To sign up, select the weight range below that your dog fits within. 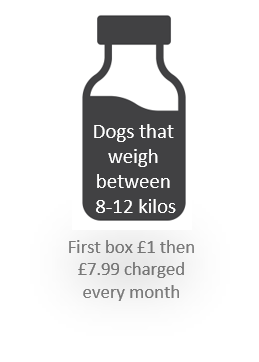 The first bottle is just £1 and you can cancel at any time!